Q: Is Barack Obama left handed? Yes, Barack Obama is left handed. 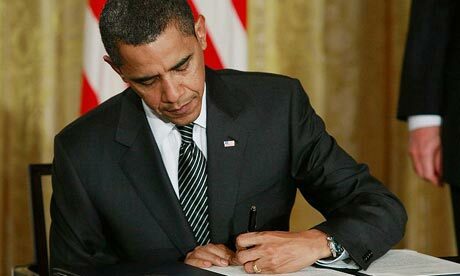 Perhaps the biggest win for the left handed party was the signing into office of Barack Obama. He of course is the most powerful left handed person in the world, and not without a sense of humor. When he was handed the pen to sign himself into office, he reached out with his right hand. He then looked straight into the camera filming the event, punched his aide in the face and said “I didn't come all the way up here because of the damn righties” and proceeded to etch his name in the paper with his laser eyes like cyclops. andmark decision by declaring winds over 25mph illegal and won the hearts of the state's people. While in his first term as President of the United States, or Potus with the mostus, he enacted the nation's first universal health care bill, brought back the troops from Afghanistan and closed Gauntanamo Bay, the seedy nightclub in the Washington D.C underbelly. And luckily for us, if there is one issue Barack Obama stands firmly behind without waiver or negotiation, it's his left-handedness.